Is it about time you need to reinvent your gym or fitness centre? With increasing competition in the fitness centre arena, it is important to keep the customers happy. With newer additions of equipment and new techniques, the customers can stay interested and continue their memberships. With the fitness world constantly trying to reinvent itself, it is also important for a gym or health club owner to keep replacing outdated equipment with newer ones that include latest techniques. Also, keeping the fitness centre in an up-to-date condition is extremely important. In case you feel you are ready to expand your business, you might also consider opening yet another gym or fitness centre. For all the above actions, one requires business funding. More importantly, the funding must come across in a short duration and the competition is stiff and a gym owner has to quick in replacing, repairing and updating lest he loses out on potential customers. While opting for a traditional bank loan is an option, it is often not feasible since the process takes a very long time. To top it all, if you have had a bad credit score, you can bid your bank loan goodbye! And so gym owners often need to look out for alternative funding solutions. To get the right business finance and to get in when needed the most, gym and health centre owners have one option which is by far the best one. 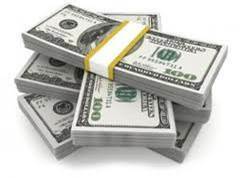 That option is Business finance through Merchant Cash Advance. How is Merchant Cash Advance beneficial to Gym and Fitness centre owners? This unique form of business funding proves useful, especially to gym and fitness centre owners. This is not a loan but is merely a cash advance that one receives against future credit card revenue collection. The procedure is very short and cash can be dispersed within a few hours or a couple of days. These are a form of unsecured loans and so paperwork involved in this procedure is the bare minimum. The holdback which is a form of payback, in which the future credit card payments are collected, varies according to the business a health centre has made in a month. Unlike a bank loan, if the gym is experiencing a particularly slow business month, the hold-back will be proportionately reduced, so there is no financial crunch. The rates of payback are decided individually and set to suit your ability. When you plan to consider Merchant Cash Advance for your business ventures, you must bear in mind that there are many MCA providers in the market. But choosing the right one is critical. Since the return rates are higher, one must do all it takes to keep all other costs to bare minimum. If you are a gym owner or have your own fitness centre or health club, you know most of your revenues will come from credit card and debit card payments. And so it is almost mandatory that every gym owner must have a merchant account. Providers who disregard your bad credit: This is one of the most important criteria, as bank loans will often get rejected simply because of your previous bad credit. The right MCA provider will not take your previous bad credits into consideration and give you a chance to start afresh. Funding for increased positions: Suppose you already have existing Merchant Cash Advance going on, develop the need for more working capital, a good MCA provider will be able to give you funding 2nd, 3rd, 4th 5th position too. The affordable rate of return: Though a MCA is expensive as compared to a bank loan, choosing the right MCA provider who bears in mind your financial capacity and decides at reasonable interest rates is ideal. Comfortable loan terms: Depending upon if your MCA is long term or short term, a good MCA provider will give you various loan terms giving you the liberty to choose the appropriate one. Application fees and set-up fees: While MCA loans are expensive you would want to keep all other costs down. Choosing a provider who has no application fees or set-up fees are the best ones. Facilitate clients with a recurring billing: In a gym or a health centre, it is not uncommon to have clients with a recurring billing cycle. This is a facility that not all MCA providers give. Choosing a provider who gives you the flexibility of recurring billing is essential. Payment through mobile apps: Not all MCA providers have services that include payment via mobile apps. It best to choose a provider who lets clients pay via mobile apps from their iPhone or Android phones. Whether you are a small business or a start-up gym, finding the right MCA provider is vital, as they can make or break your business graph.